The Houston Zoo is inviting Houstonians to come and welcome their newest additions to their family. 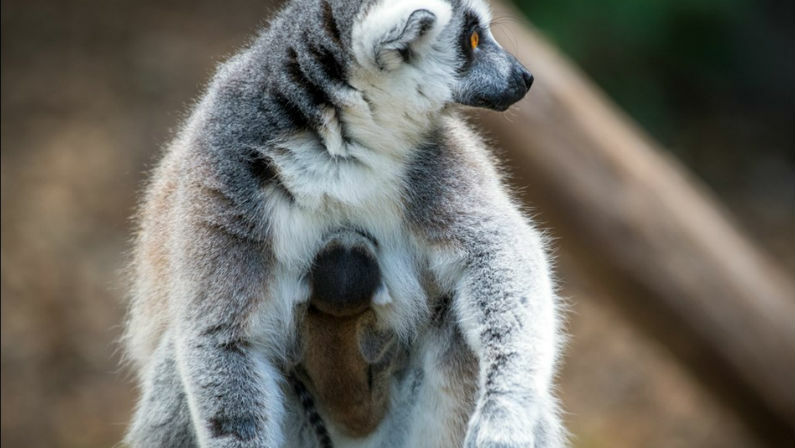 Two days before Christmas on December 23, the zoo was given an early present when the lemur Zenobia gave birth to a new baby boy. The baby sifaka has been named Dionysus by the zookeepers and has already begun venturing away from his mother’s back. Dionysus and Zenobia are a type of lemur known as a Coquerel’s sifaka, a species known for their unique way of moving known as “vertical clinging and leaping.” The lemurs are able to cling upright to trees using only their hind legs, then hop from tree to tree while remaining vertical. The Coquerel’s sifaka are one of the most beloved attractions at the zoo thanks to this gravity-defying method of locomotion. Dionysus isn’t the only new lemur addition, though. On Monday, January 21, the zoo’s ring-tailed lemur named Cairrean gave birth to a new baby. The tiny newborn is estimated to weigh around three ounces and will spend several weeks clinging to her or his mom’s chest and back before he or she is able to venture out on his or her own. The new lemur additions should help strengthen the Houston Zoo’s mission of preserving animal and animal habitats in the wild, including lemurs and their natural habitats in Madagascar. Lemurs are native only to the small island nation of Madagascar, and hunting, deforestation, and habitat fragmentation due to human development has put this species on the endangered list. While the Houston Zoo wants visitors to come and enjoy their lemurs and Coquerel’s sifakas, the zoo hopes these visits can inspire visitors to become more aware of the natural world and humankind’s relationship to it. The Houston Zoo is open 7 days a week from 9:00 am to 6:00 pm. Entrance gates close at 5:00 pm. The zoo is located at 1513 Cambridge St., Houston, TX 77030. More information can be found online at www.houstonzoo.org or by calling 713.533.6531.